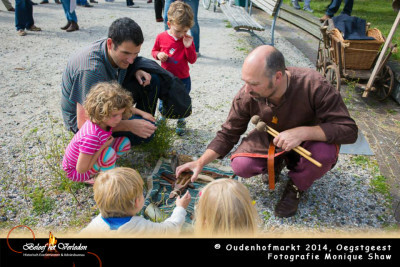 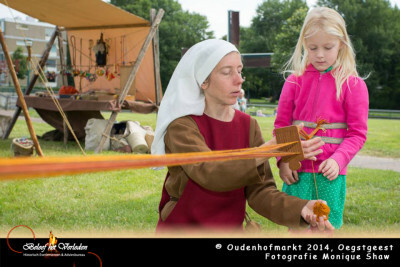 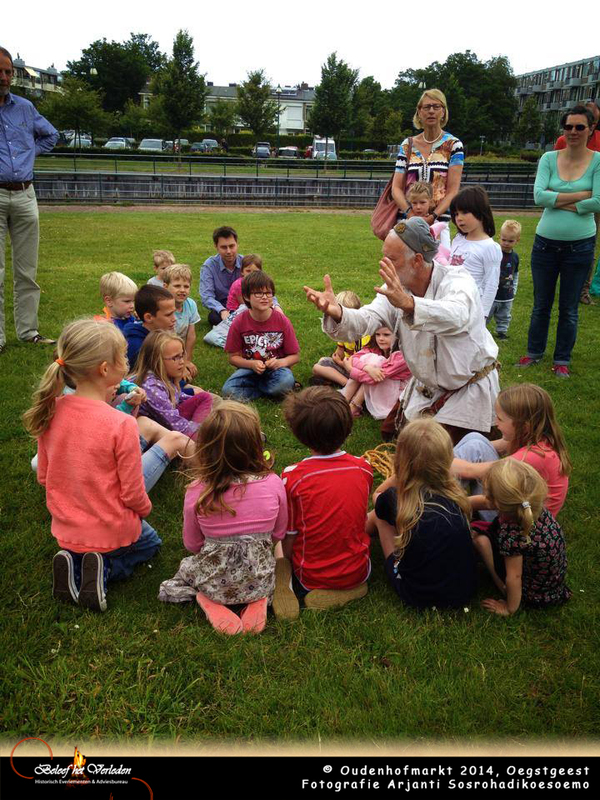 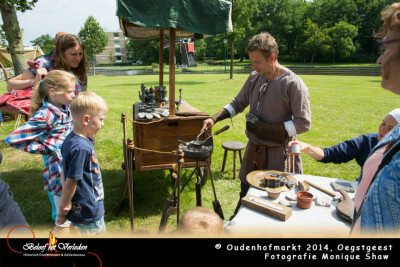 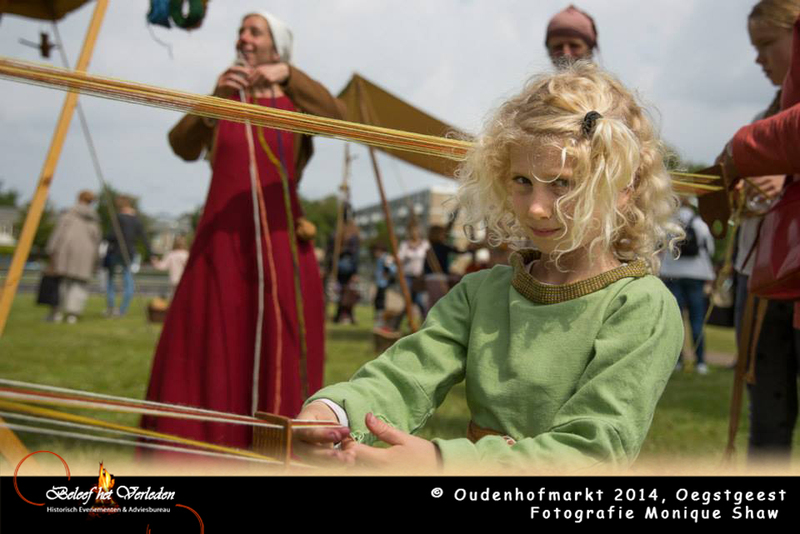 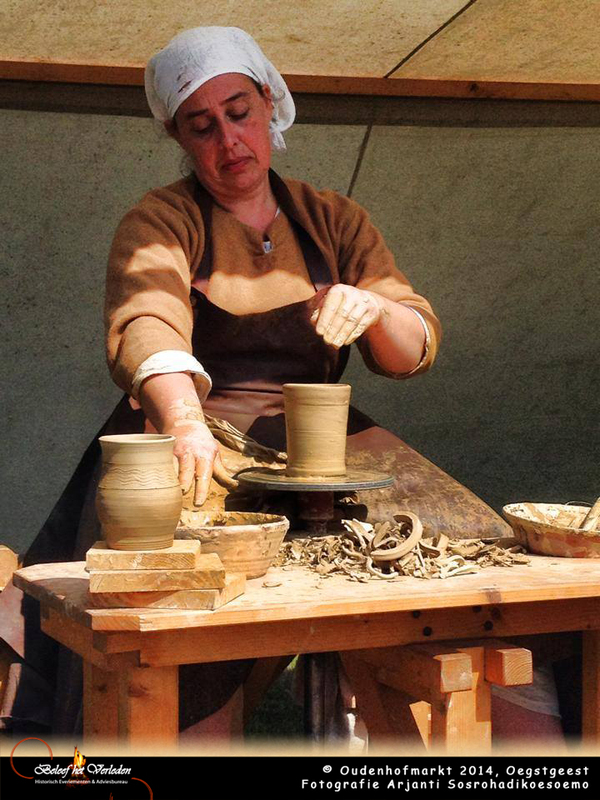 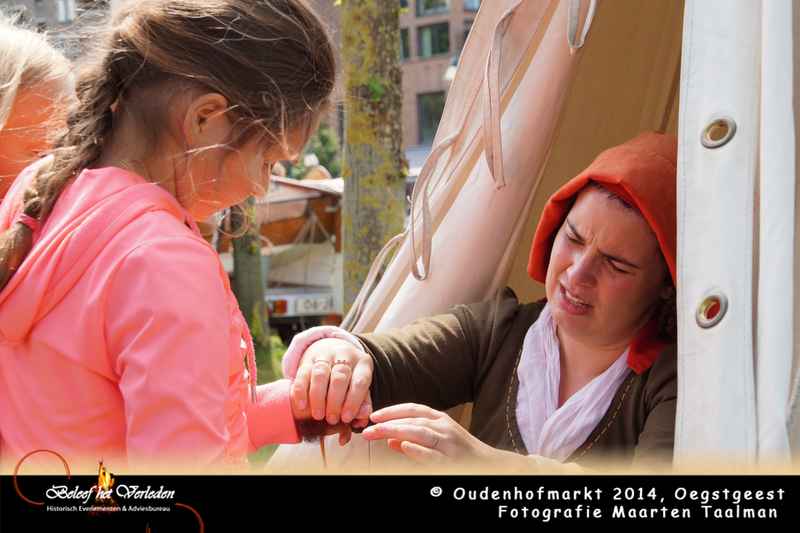 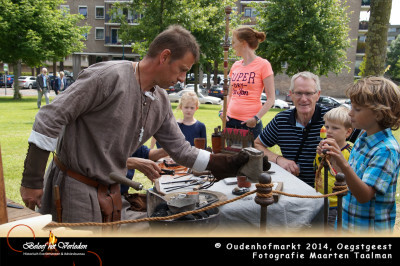 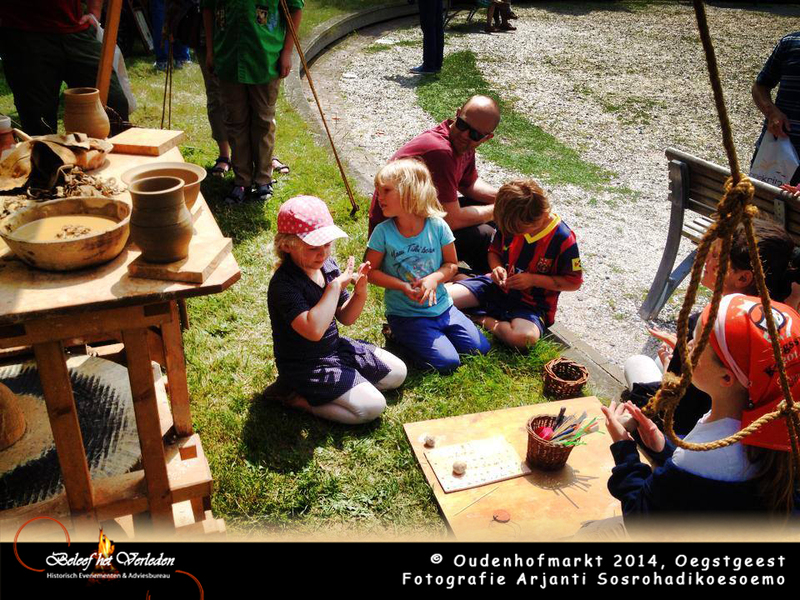 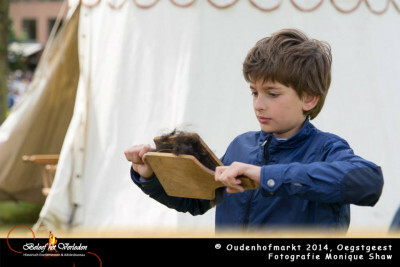 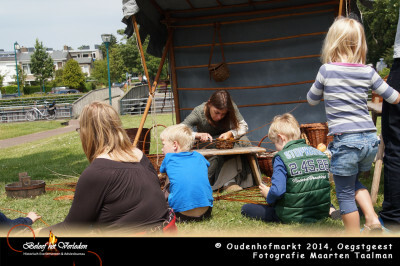 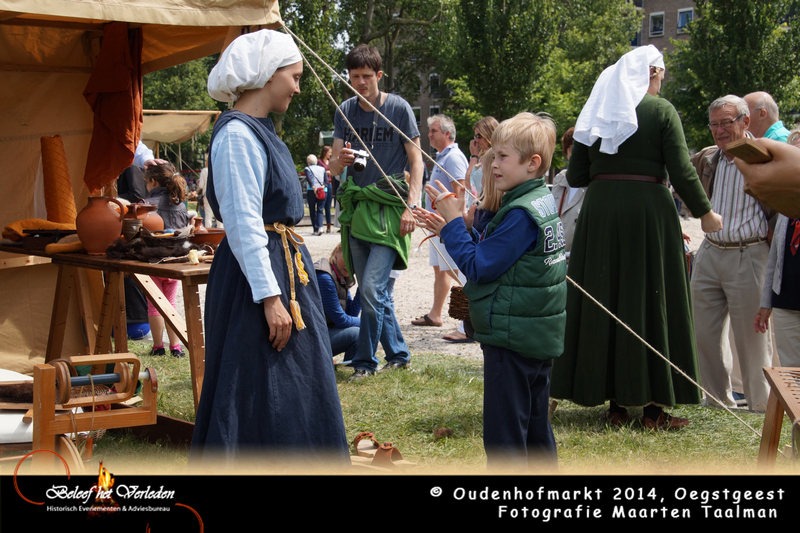 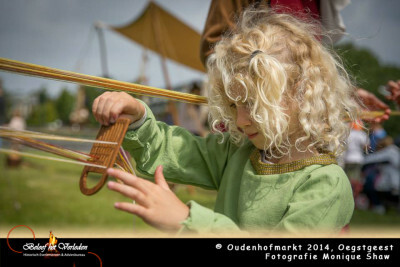 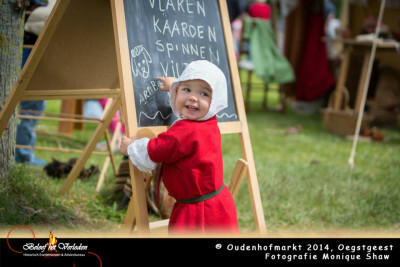 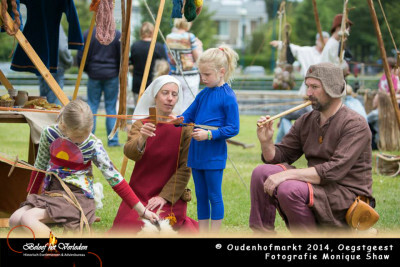 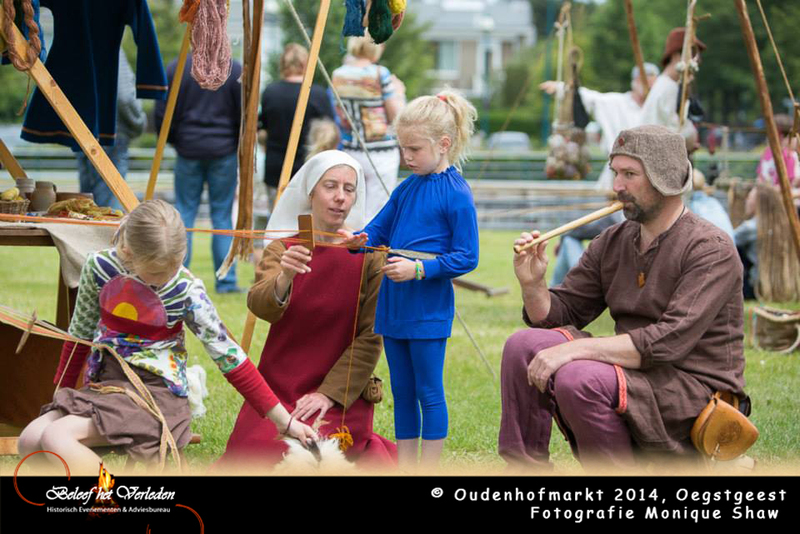 All medieval craft-demonstrations were interactive for young and old. 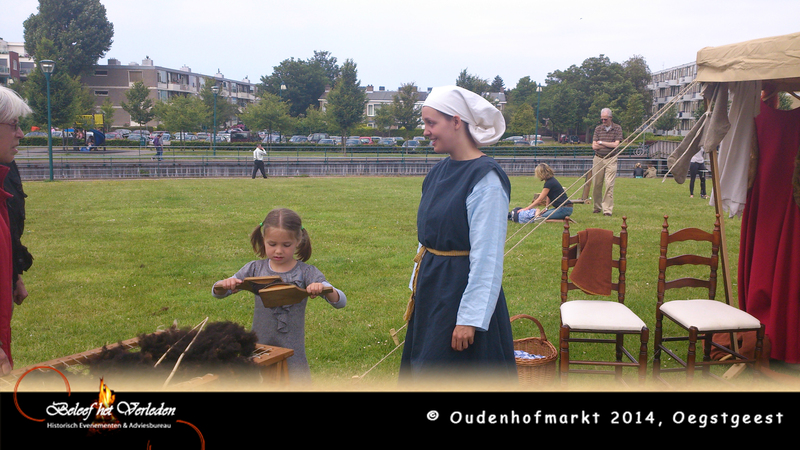 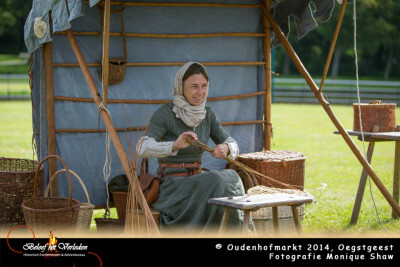 There were workshops band weaving, basket making, spinning, robe making etc. 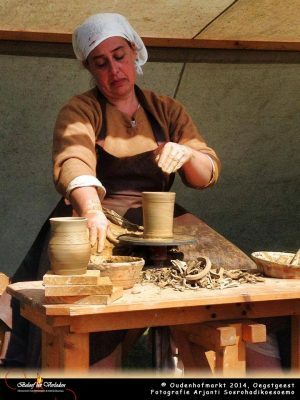 All products made could be taken home for free. 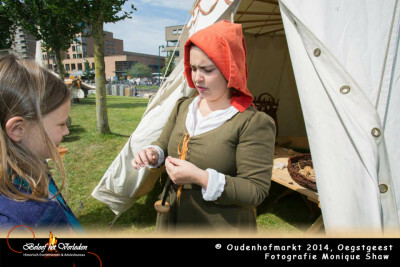 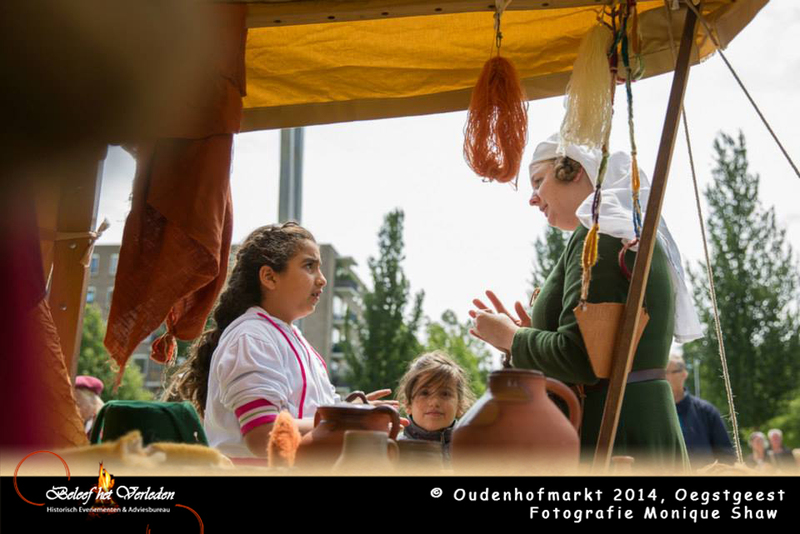 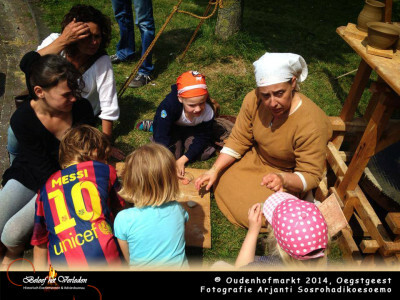 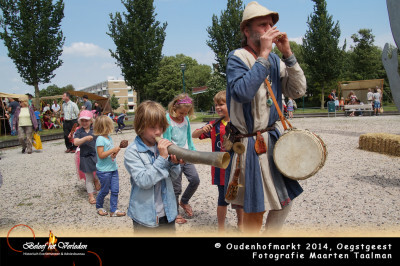 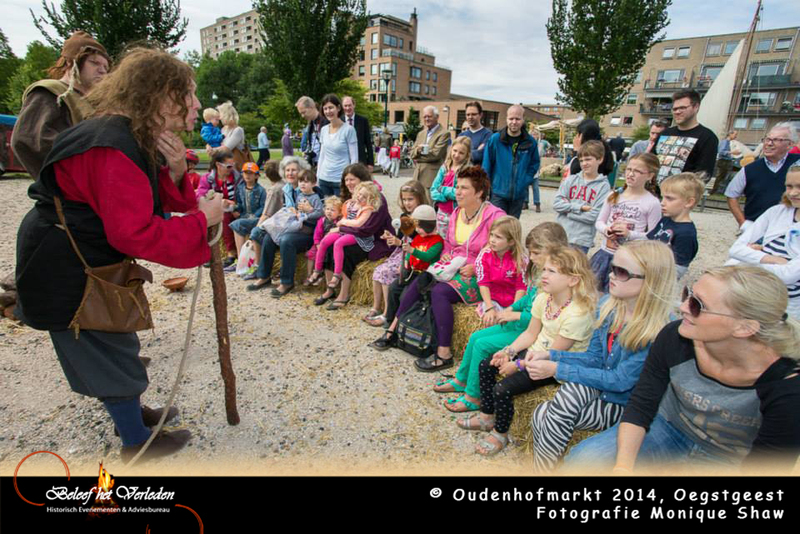 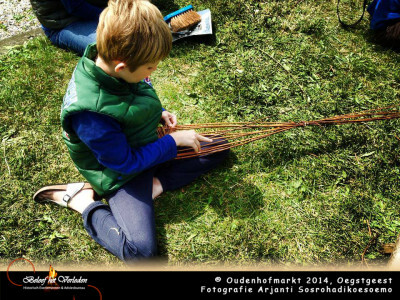 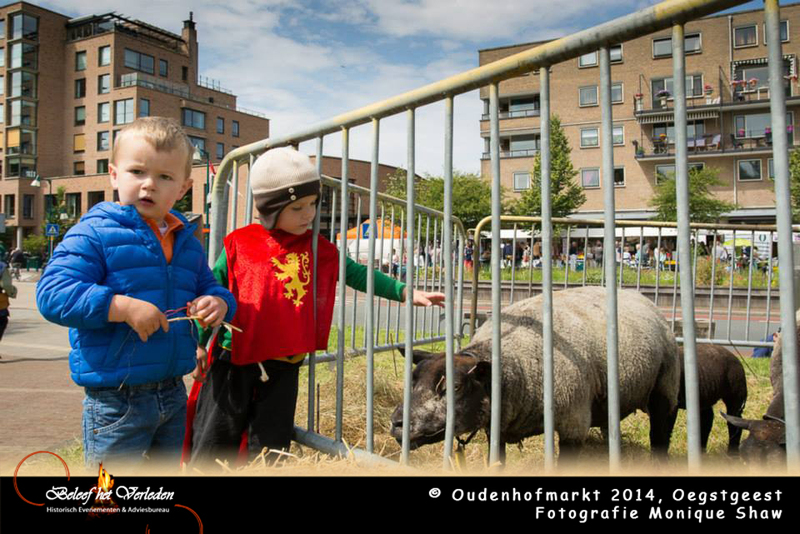 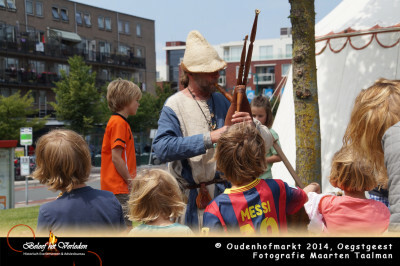 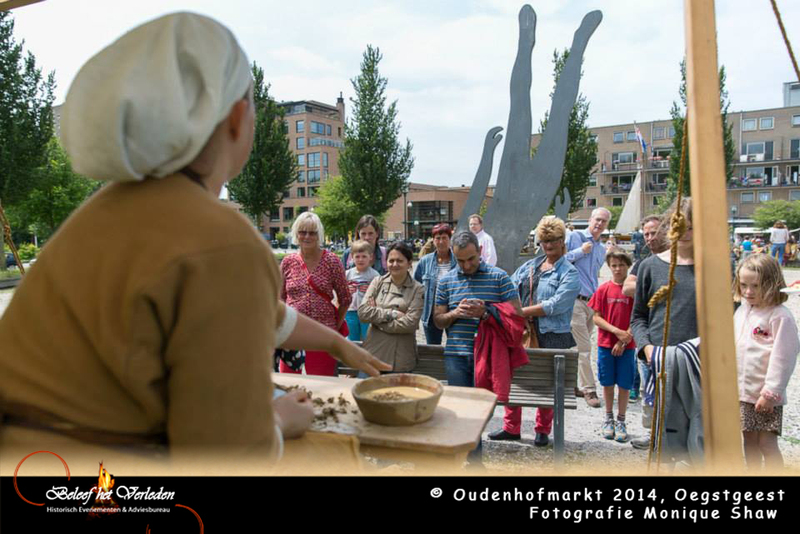 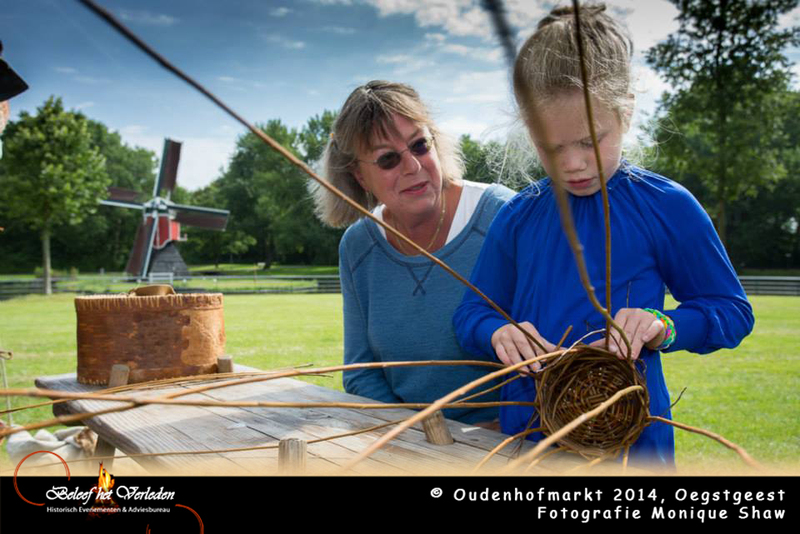 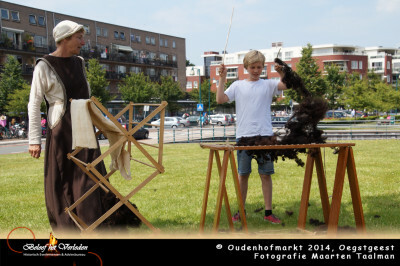 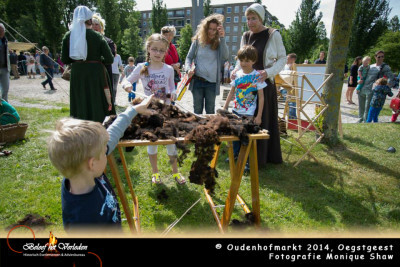 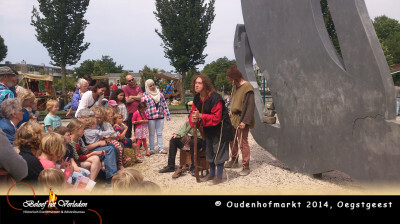 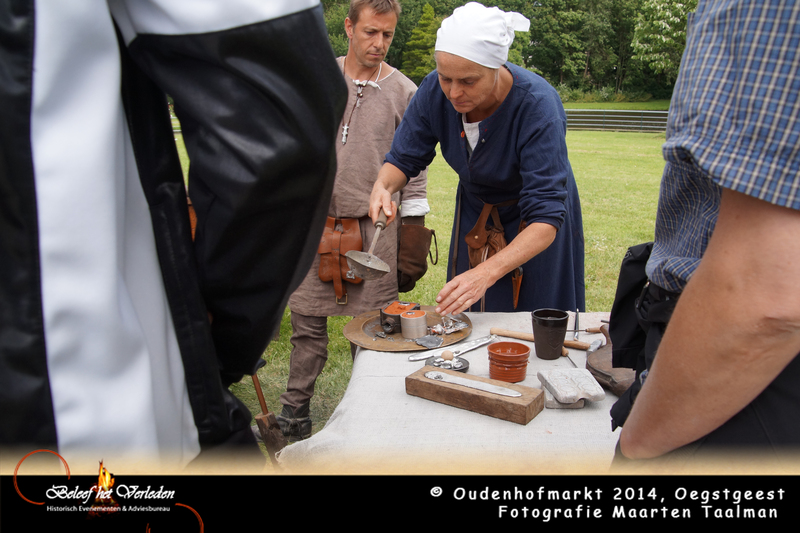 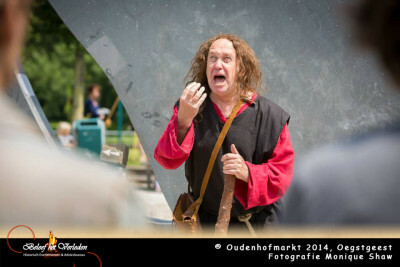 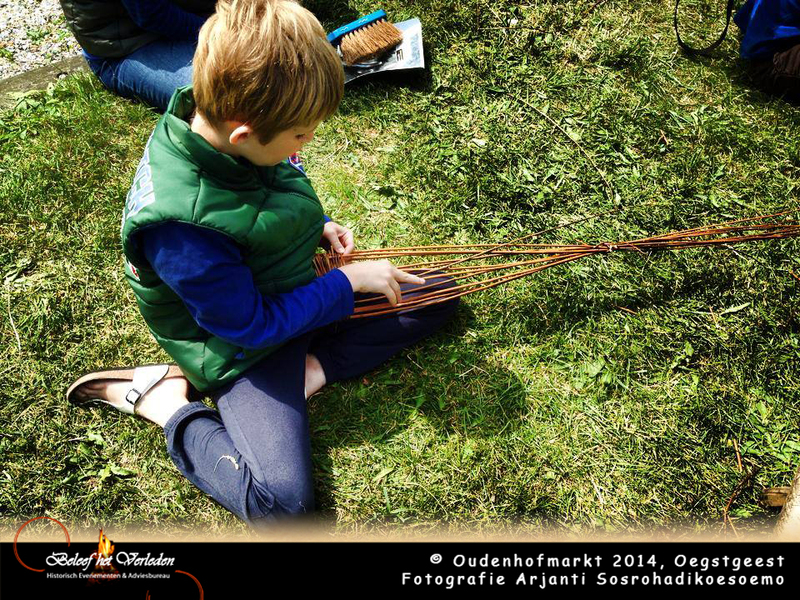 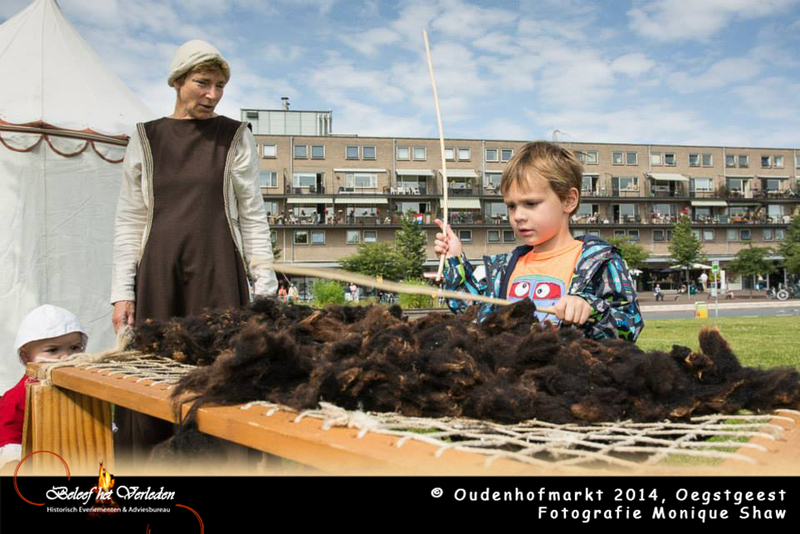 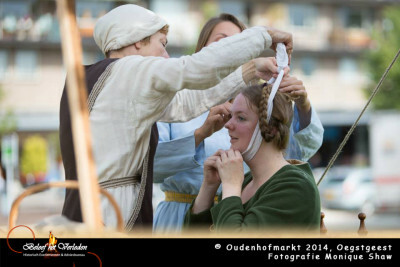 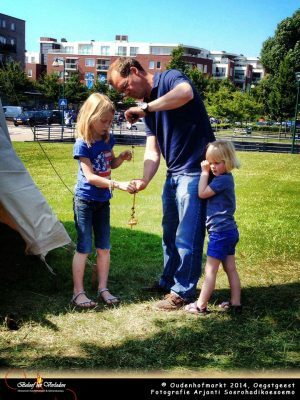 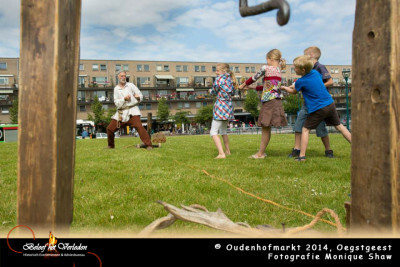 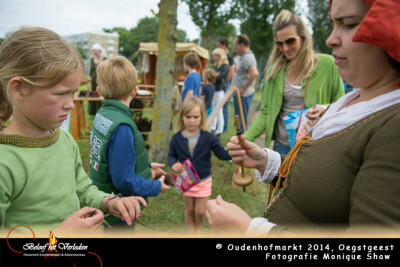 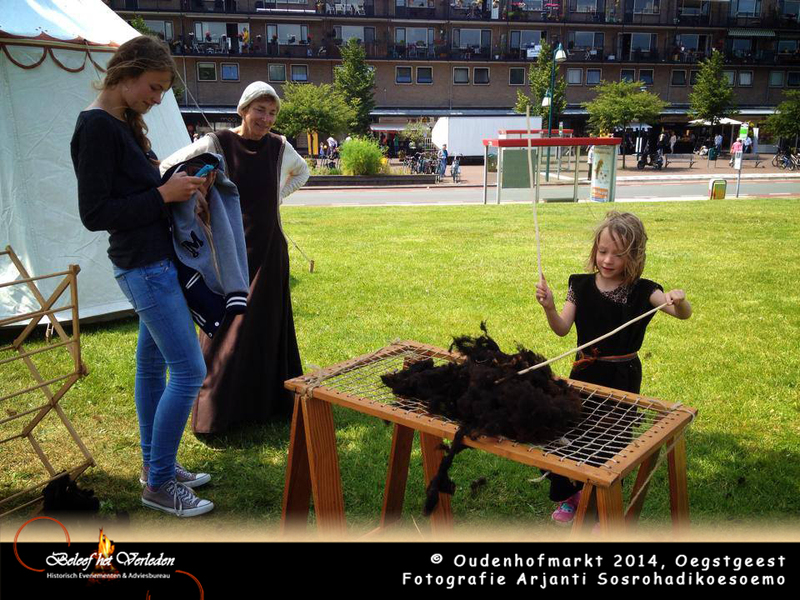 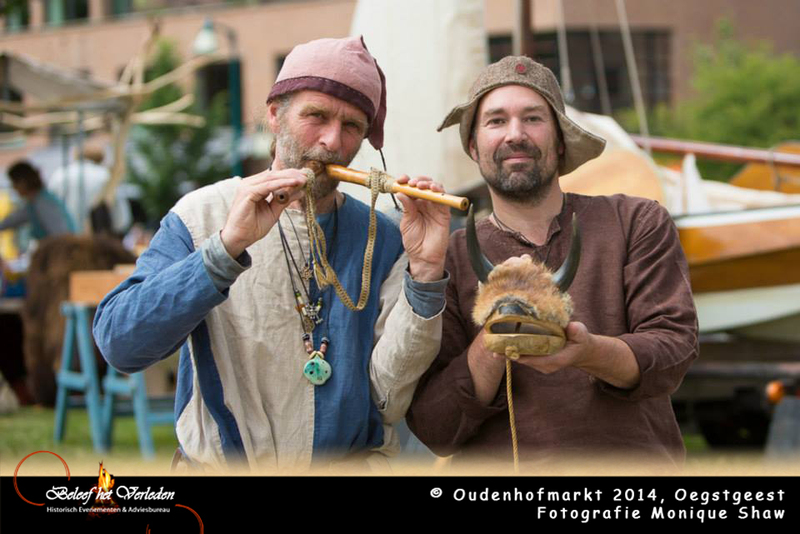 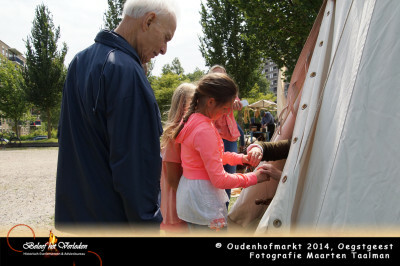 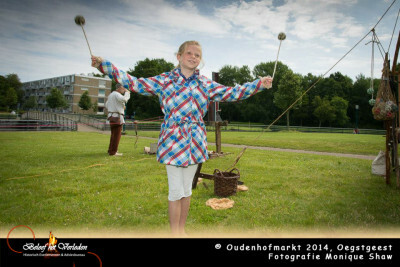 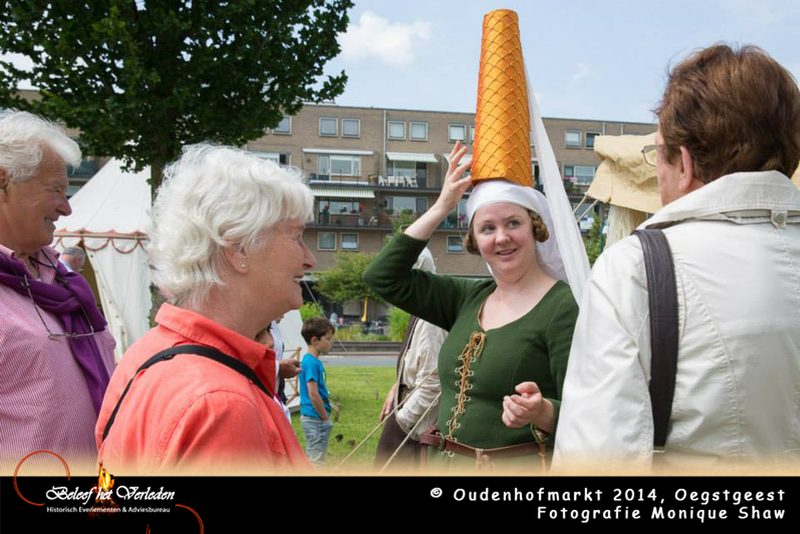 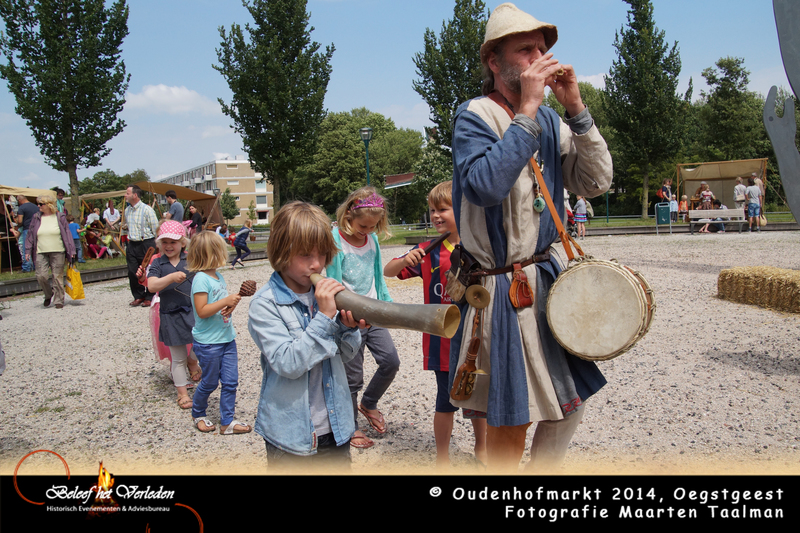 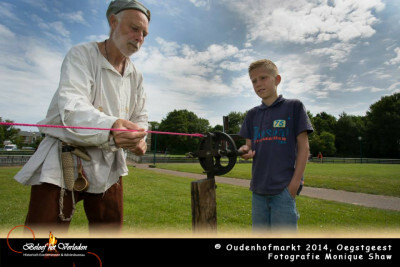 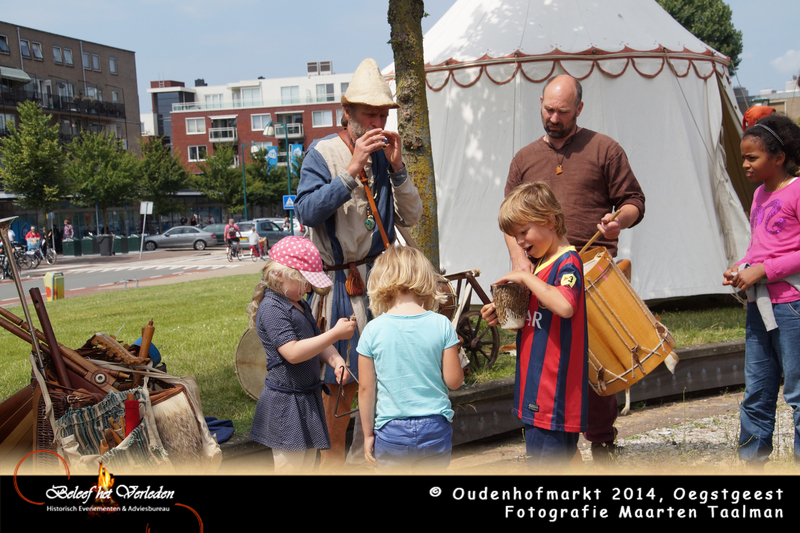 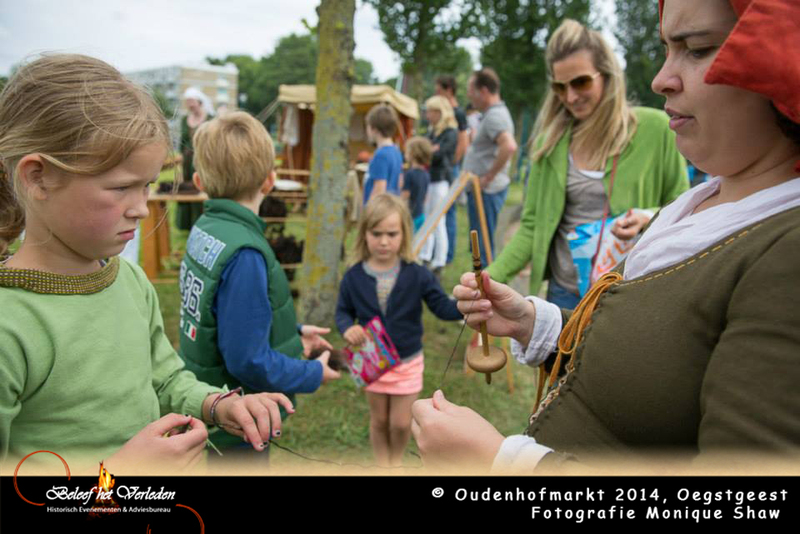 Visitors learned about the local history of Oegstgeest and became aware of the origin of products. The robe maker was full of stories and played games with the children, who learned a lot in a playfull manner. Difficult in the beginning, but children very soon were able to make nice threads. 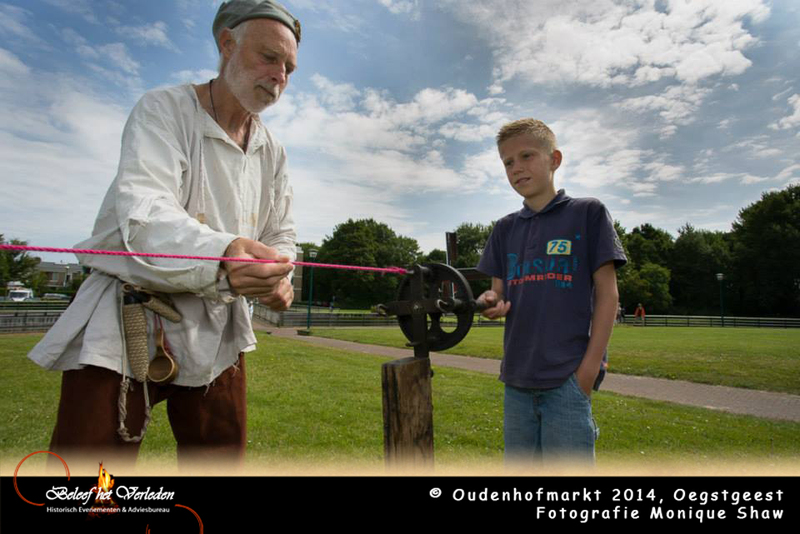 Daddy’s and grandfathers were helping as well. Children took the pure wool from the ‘vlaker’ to the carder and then could choose to go to the spinster or start felting the wool into a ball or bracelet. 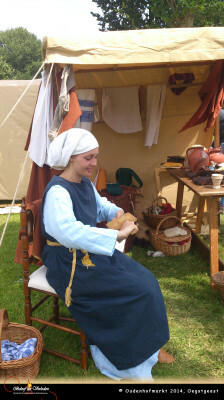 The other part of the wool was used to spin a robe and together this made a nice necklace. 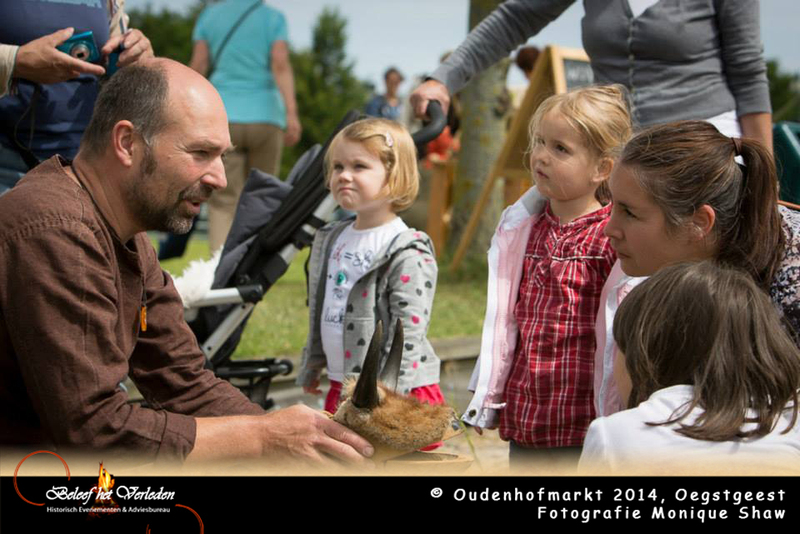 A succesfull day with 2000 visitors who enjoyed this interactive educational approach.